Richmond-based knitter Cara Corey has been selling her hand knit hats, scarves and rope baskets in the shop since we first opened. 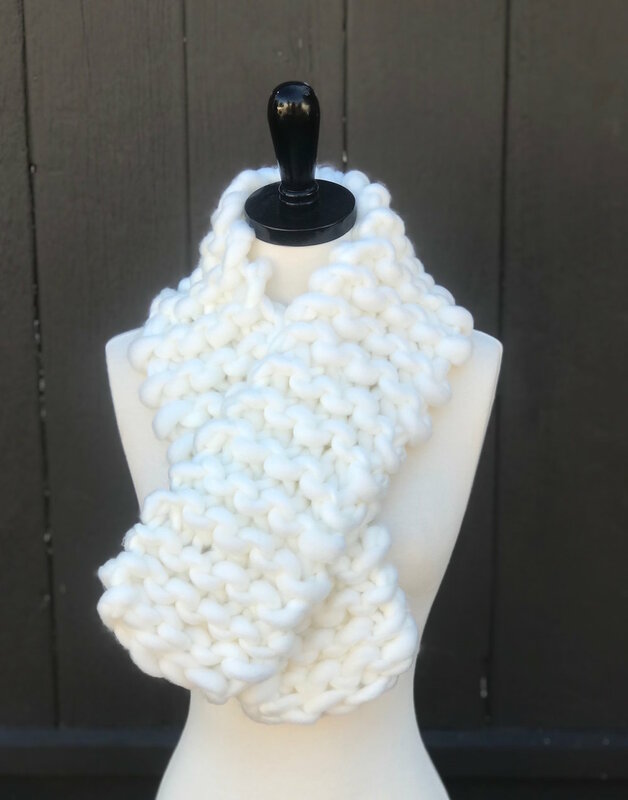 Now she regularly teaches workshops, including our popular hand crochet blanket class, rope basket making, and our new knit a chunky scarf workshop. O and you probably recognize her face because she even works at the store once a week! Cara describes her line, Mary Marie Knits, as simple and modern, and she gravitates toward chunky yarns and large-scale knitting. "I try to pick styles that are timeless, so you can wear them year after year," she says. Get to know Cara with our Q&A below. I draw a lot of inspiration from Scandinavian design. It has always been easy to find chunky wool yarns in Europe. Only recently have they become popular and easy to find here. I will try knitting with anything, including rope and my own felted wool cord. I am also inspired by the handiwork of my grandmother, Mary Marie Mason. She passed her love of crafting on to my mom, sister, and I. So I intend to pass it on to my kids. Crowns are available in child and adult sizes. My husband and I frequent the old-school taco truck that's parked outside of the Hotsy Totsy Club in El Cerrito. I usually get tacos al pastor. Most of us did not come from a business background (I started out as a journalist.) So I think there is a spirit of community and helping each other succeed that doesn't exist in other fields. Every time I attend a maker event, I meet more amazing people, and I have been blown away by how kind, accepting and supportive they have been. That's a tough one. I don't travel as much now that I have little kids and I miss it! I have a sweet spot for Boulder, Colorado, where I used to live. A few years ago my best friend and I took a Mediterranean cruise. I would love to go back to just about any of the places we stopped in Greece, Italy, France and Spain. I would also LOVE to go to Australia someday. A shopping spree at gather! Seriously, I have about 50 items on my wish-list right now. I have a little cottage behind my house that was just a dirty garage when we moved in. My husband and his dad decided to finish the walls and make it into a studio for me. It was a dramatic transformation and I feel so lucky to have a place for my many, many yarns. Join us Thursday August 3rd at 7p at gather for our new Rope Basket Workshop. 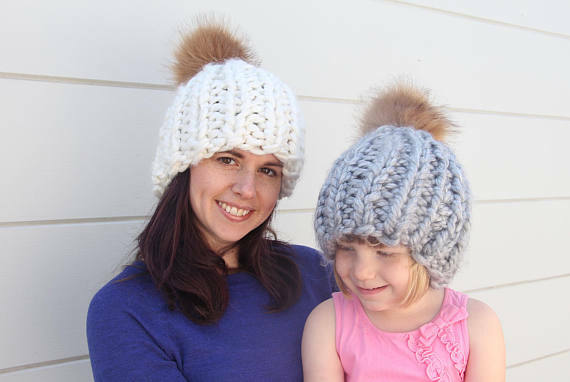 If you've ever wanted to try your hand at the over-sized knitting trend, here's your chance! 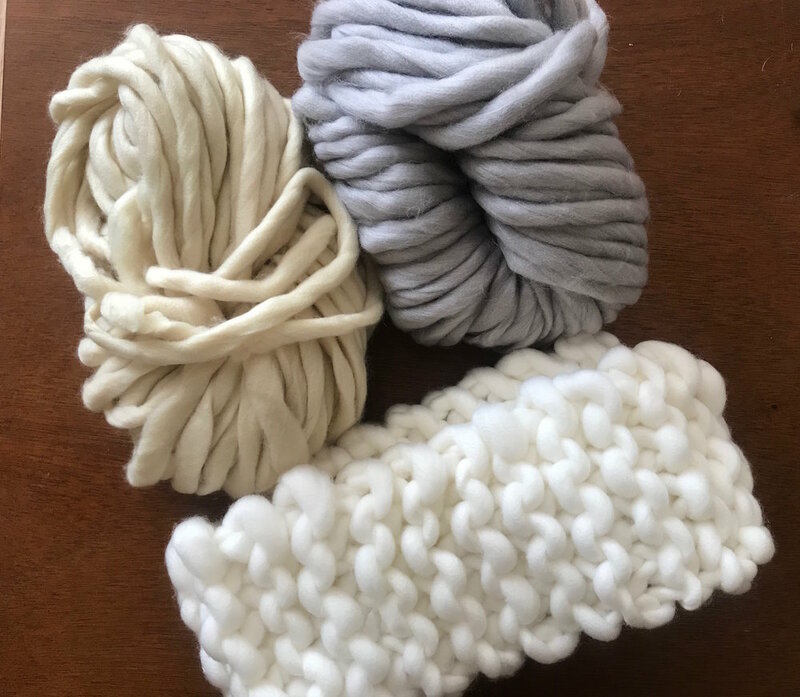 Cara Corey of Mary Marie Knits will teach you how to knit a basic garter stitch using giant needles and soft cotton rope. Then you will assemble your knitted swatch into a sturdy basket that is perfect for storing books, craft supplies, toys, or other household items. No knitting experience is required. This workshop includes a set of knitting needles for you to keep and enough rope to make a medium-sized basket (about 9x9 inch). You will also receive a free link to Cara's rope basket video class on Skillshare to refer back to after the class.